Question: We're building a home with a traditional Craftsman style. We've selected Prairie style windows for the house, but we're worried about maintaining our privacy in the bathroom. Any suggestions? Answer: Absolutely. If you're looking for a true accent window for your home, Hy-Lite has Craftsman fixed windows in both 25" x 25" and 48" x 48". There are also awning and casement style windows that are 29" x 29". 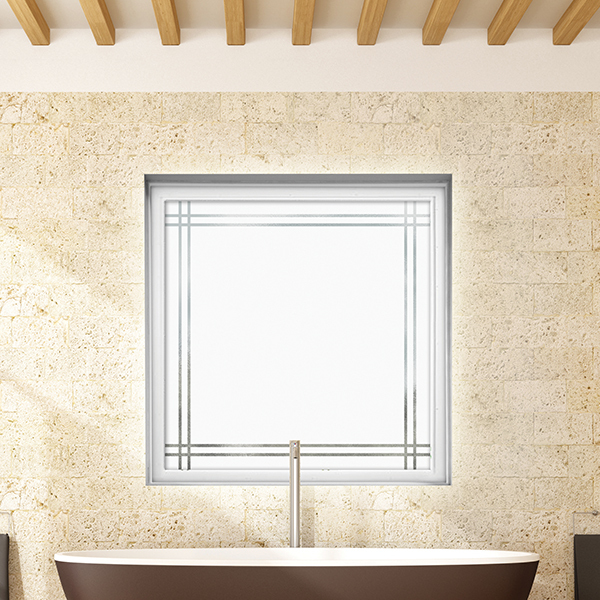 Another option would be to use a Home Designer CollectionTM privacy window in the Prairie style in your bathroom. Simple and elegant, the lines of the Prairie style window should perfectly match the clear glass windows throughout the rest of your home. A terrific benefit is that our Prairie window is created with silkscreened tempered privacy glass and clear lines on the interior. It's finished with textured privacy glass on the exterior and comes in sizes of 48" x 48", 48" x 12" and 36" x 60".